There is one TV program that I look forward to each and every week, Extreme Makeover Weight Loss. It doesn’t come on until 10pm on Monday nights, but we make an extra effort to stay awake for it. Have you seen this show? The host of the show, Chris O’Donnell, is amazing. 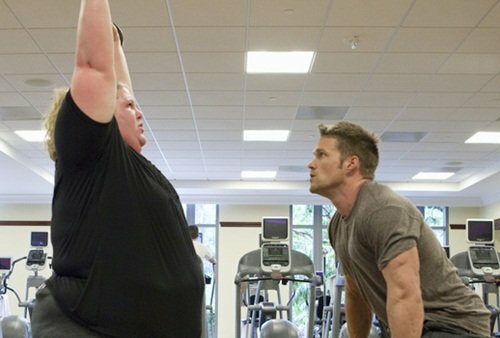 Each episode covers an entire year as he helps a morbidly obese client shed 200 or even 300 or more pounds. Yes, some lose over 300lbs through diet and exercise in ONE year! Truthfully, I don’t have a goal of weight loss myself, but to me, this show is about so much more than the scale. In Chris’s world their are no regrets, no fears, no barriers, only a future of promise. He shows his clients, and the viewing audience, that any obstacle can be overcome and that it’s never too late. Cheesy? Perhaps, but I love feel good stories, and I definitely need that kick in the pants to keep pushing forward sometimes. Doesn’t everyone? This is the first time I have posted here on this blog in 5 months. For the past year and a half, my husband has been overcoming some health obstacles, and it is always important for me to be there for him. The focus of this blog was something that I knew I wanted to move toward, even though I haven’t had time to dedicate to it. So, I decided to put it up last year anyway … get it started, without pressure, and then just let myself get involved when ready. Go Dairy Free is my “foundation.” I’ve had the opportunity to help thousands of people find joy in dairy-free living, and that feels amazing. Dairy-Free & Fit is me taking it to the next level. I started Go Dairy Free for myself, and my own needs, but it became more influential than I ever would have imagined. We’ll see if this blog goes in the same direction. How cool would that be? To clarify, I’m 36 years old and I’m not a turbo fitness queen who downs green smoothies all day. If you are, awesome. I’m in awe. Please stick around and share your tips! But … my personal goal is to feel strong, capable, and energetic. That is health to me, and that involves everything from exercise and diet to play time and guilty pleasures. If it has anything to do with feeling good and getting the most out of life, then I consider it fair game on this blog.